Landlords West End Real Estate Property Management because they know that their properties are secure in the hands of our team of experienced Geelong property managers. 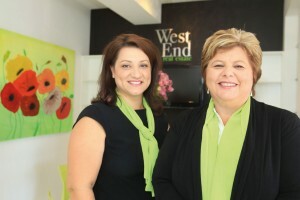 West End is also the first choice for tenants who want to deal with a fair, professional team that understands that rentals are not just ‘properties’, but someone’s home. Gina and Rosa welcome past, present and future clients to call in to have a coffee and discuss any property management needs.